Dedicated towards bringing forth the finest and premium quality Baqai Herbal Extract, we are a well-established Supplier in this domain. We are a quality conscious company and thus, we make certain that the quality of our product basket is superior and excellent. 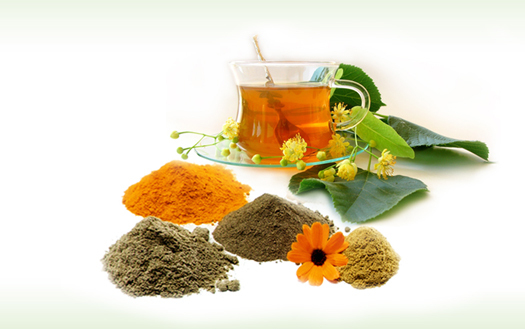 Herbal Extracts : Herbal extract is an extraction of herb made in water and alcohol. It is strong medicinal dose of herbs. It consists of active ingredient of a particular herb. Extraction process is used to obtain the extract from the authenticated herb. Alkaloids : Alkaloids are a group of nitrogen-containing bases. Alkaloids were among the earliest isolated pure compounds with biological activity. Alkaloids have diverse and important physiological effects on humans and other animals. Among the most famous of the alkaloids are the Solanaceae or tropane alkaloids, quinine extracted from Cinchona succirubra, and morphine alkaloids, derived from the opium poppy, Papaver somniferum. Many alkaloids are poisonous in nature , some are used medicinally as analgesics (pain relievers) or anaesthetics and for other uses. Amino acids : Amino acids are very small biomolecules and consist of two functional groups i.e. amino group and carboxyl acid group. They are the major building blocks of proteins and enzymes. They act as intermediates in metabolism and help in growth, repair and maintenance of cells and tissues. Bitter : Bitter are the beverages in which water or alcohol is used to dissolve or blend the medicinally components from the plant materials. The plant containing bitters reflectively induce stimulation on the salivary gland and secretion of the gastric juice, thus Bitters are used to strengthen and improve the whole digestive system as well as the nervous system. Bitter shows broad effect on the body i.e. on physiology, and tone. It is beneficial for lowering lipid levels, gastrointestinal complaints, mineral metabolism and hair loss, however in western society, it is used by dietary supplement manufacturers for its weight loss properties.